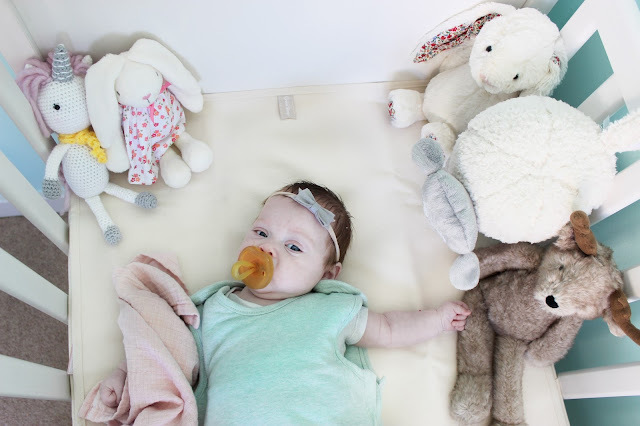 I love being able to get my hands on as much organic and natural things as I can when it comes to my baby and I am delighted to introduce you to a wonderful brand that is all organic and nature friendly, The Little Green Sheep. 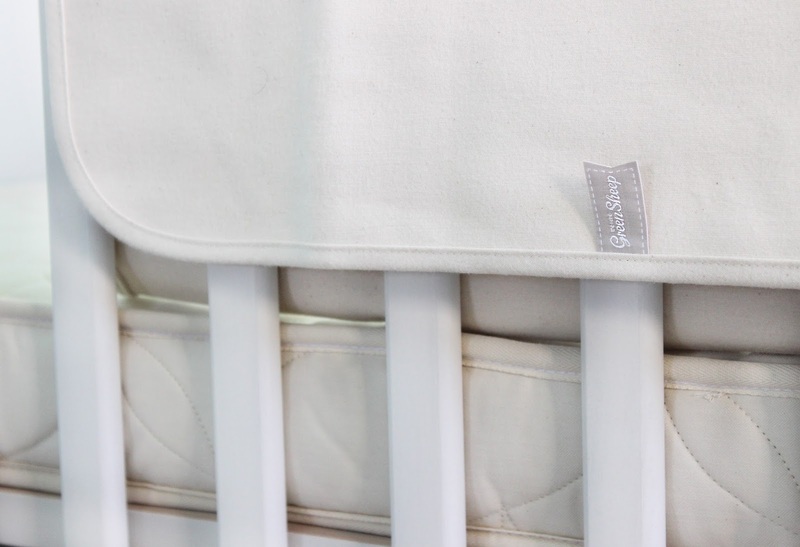 I have never given much thought to cot mattresses as I just thought a mattress is a mattress, but after seeing, feeling and testing The Little Green Sheep organic and hand-stitched mattresses I'm totally converted. 1. Organic cotton which aids breathability and has been grown without use of pesticides. 2. Coconuts, the fibres are used to create a supportive core, acting like thousands of tiny springs and reduces pressure points. 3. Natural Latex from the Hevea Tree which binds the coconut finds and acts as a supportive layer. 4. Hypoallergenic wool which is also heat regulating. The layers of organic sheep's wool also has natural fire-proofing properties which reduces the need for fire retardant sprays. 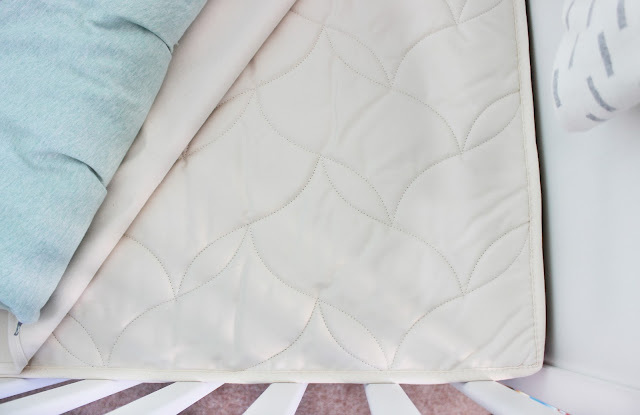 As if this mattress was dreamy enough for the organic lovers out there even the mattress protectors* are heavenly. Super soft cotton instead of a those horrible noisy plastic mattress toppers makes for and even comfier nights sleep and seriously, they are so soft and also, yes you guessed it, made from organic cotton. 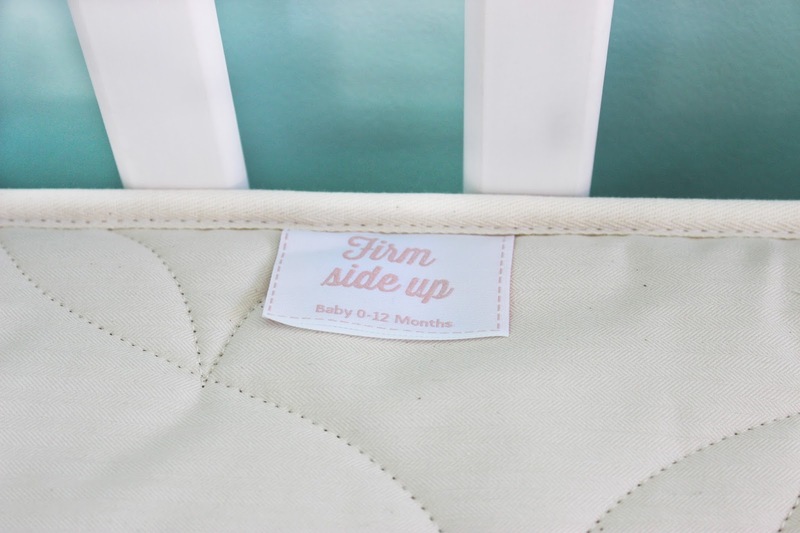 They are also 100% waterproof allowing your baby to get a dry and comfy night sleep. Kovah even loved laying on just the mattress topper because it is so soft. 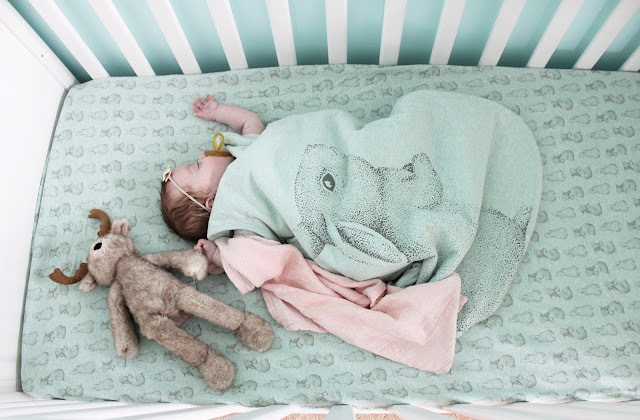 I really love it when things match and having the illustrated bunny bedsheet that matched her sleeping bag is just the sweetest thing. 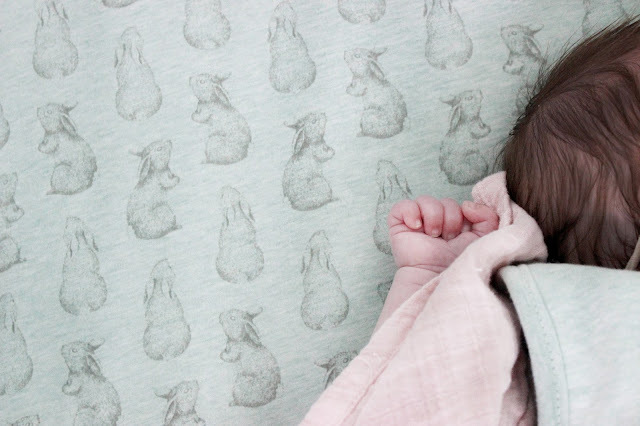 It's such a gorgeous peppermint green colour that is so unique for baby sheets and makes such a refreshing change. 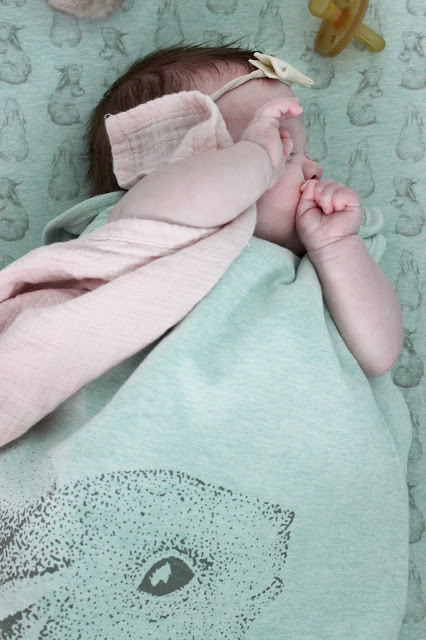 Once again these are made from the best GOTS (Global Organic Textile Standard) certified organic cotton. 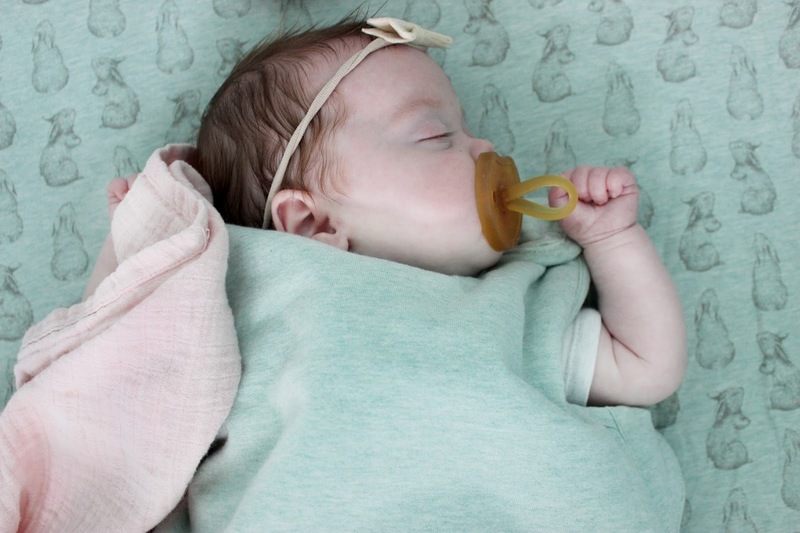 It's incredibly soft for her little skin to rest on and breaths wonderfully. Now we have only recently moved Kovah into her sleeping bag as she was too tiny for them before, but we didn't have this illustrated bunny bag* before. Unlike the other sleeping bag we have for her this one has an added popper under the arm for smaller babies which is such a simple but great idea. 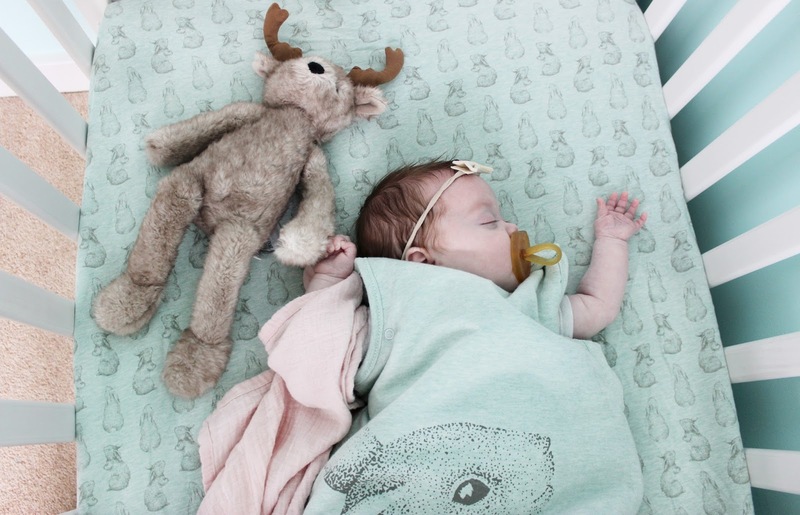 We find since we have started putting her to bed in her sleeping bag she sleeps so much better. 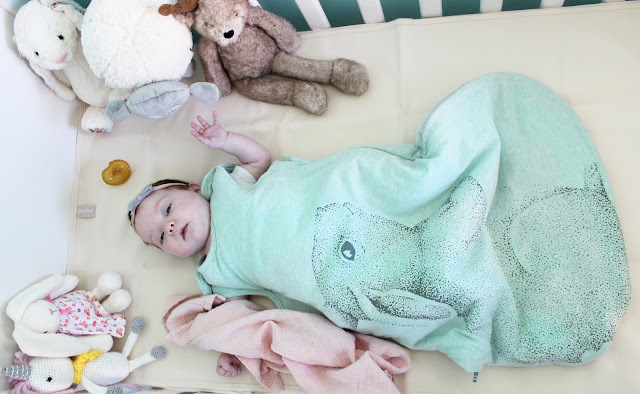 Before we would have to untuck her at night for her feeds, she'd drift off after but when we put her down and start to tuck her back in she'd wake up. Now it's so simple to just pick her up, feed her, and put her down and she's not disturbed. 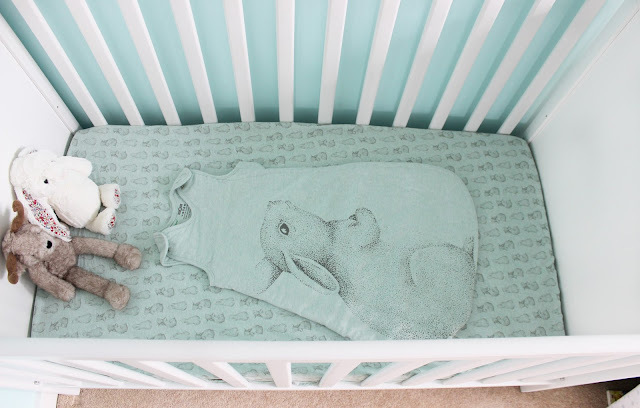 The beautifully illustrated bunny is so gorgeous and the brushed organic cotton makes it so soft for her sensitive skin. 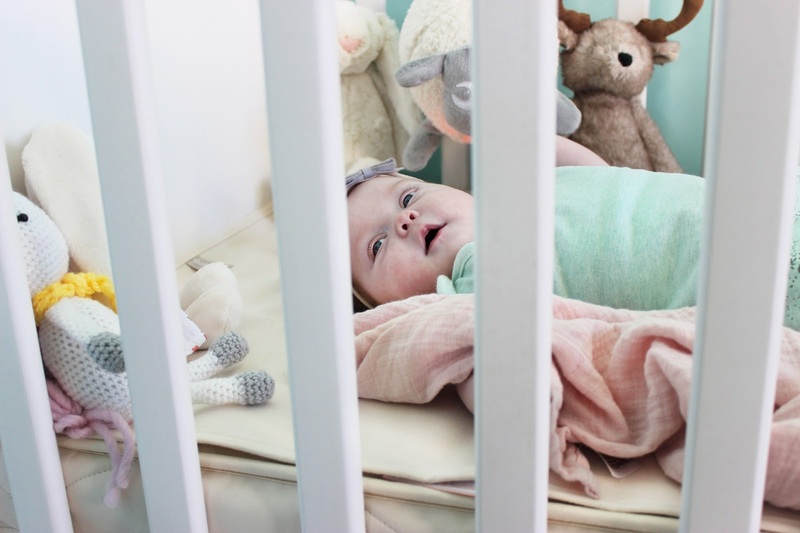 I will just add that Kovah has never slept in her cot before as she is still in the bedroom with us but her mattress, mattress topper and sleeping bag were so comfy for her that she fell asleep in her cot and didn't wake up for 4.5 hours. (She still feeds every 3ish so I was genuinely impressed) So this gets the stamp of approval from her and I definitely recommend this wonderful brand. You can feel the passion and love in every handmade stitch.